This post will be a bit different than the usual stroll through the woods or rambling through he countryside. 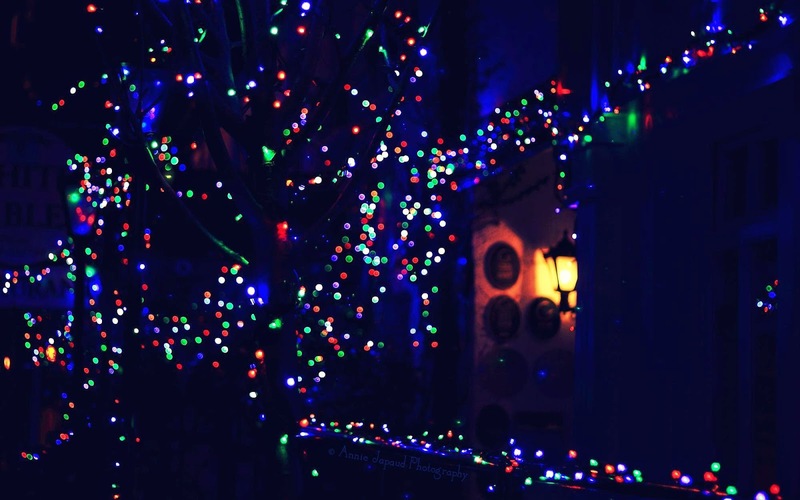 This is going to be all about the magic of Christmas since it is hanging in the air already. 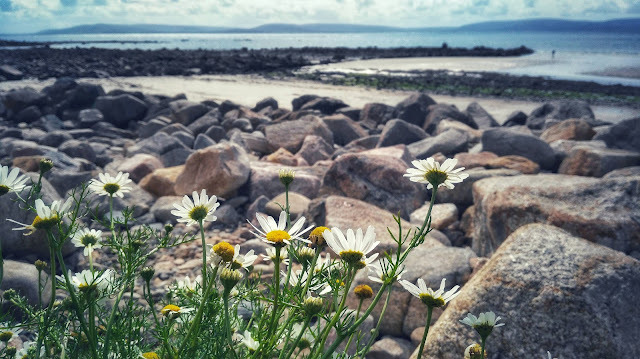 And it is going to be all about the little cozy village of Moycullen, Co Galway. 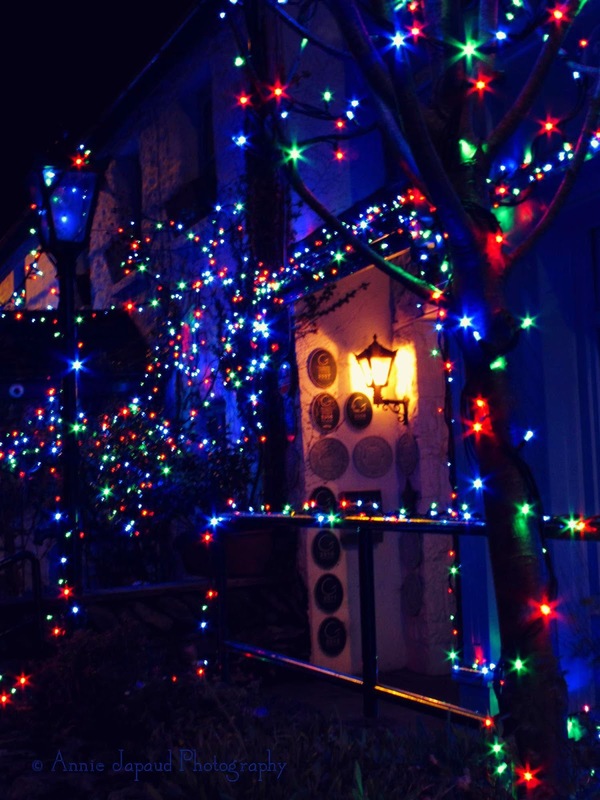 If you happen to drive through Moycullen in the evening or late afternoon at this time of the year you will think that you are passing by the magical land of Christmas. 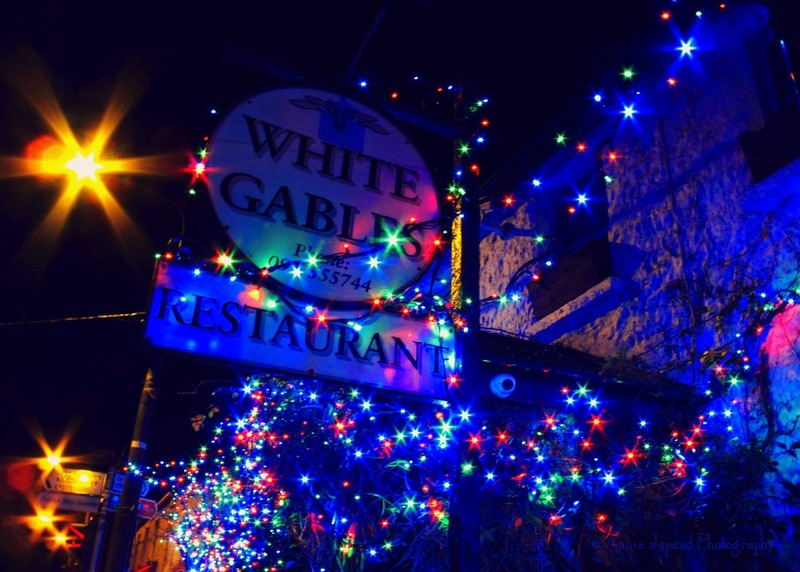 Yes indeed, this happens to be the well-known and adored White Gable restaurant and the adjoining Enjoy cafe and shop, all sprinkled with Christmas lights from head to toe. The site in the darkness is magical and enchanting. It certainly beckons passers by to come over and discover all the delights and present possibilities inside!! And I am not even going to mention the sampling of all the fantastic menu options and yummy goodies available in there. 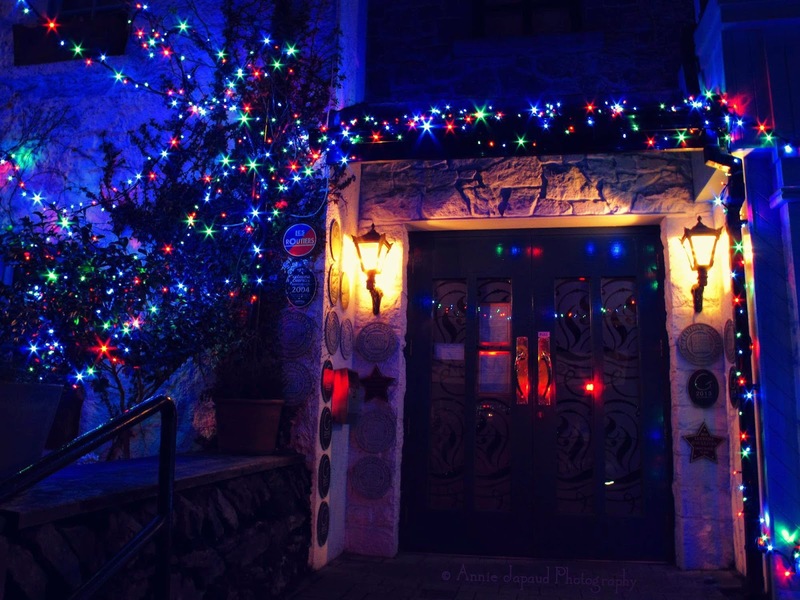 So join me for some urban exploration and a bit of Christmas magic in Moycullen and the White gable.